The rolling hills of the famous Kilikanoon vineyard in the Clare Valley region of South Australia - the perfect place to ride. A fairytale vineyard located on a slight rise along a quiet and shaded country road in the Clare Valley, Kilikanoon estate is simply picture-perfect. Amble down the property’s driveway, passing the lush vines, listening to the sounds of the playful parrots, the nearby sheep and a distant rooster, and you’d swear you were in the pages of an iconic Australian novel. Cycling the Clare Valley and calling into wineries such as Kilikanoon is an amazing way to spend a day! Highly recommended. 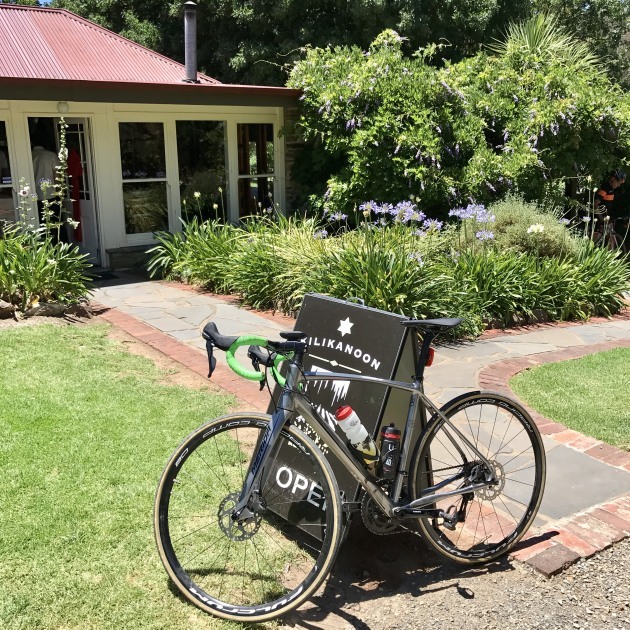 We recently rode in by bike, a Clare Classic ‘research’ mission you might call it, and were warmly welcomed at the Cellar Door by Kilikanoon representatives Garrett Ryan and Raphael Sabu. While there we discussed all things Kilikanoon, cycling and the Clare Valley with Raphael, while enjoying a tasting session of the iconic winery’s world-class offerings – including the legendary 2012 Attunga 1865 Shiraz crafted from the fruit of vines planted in the Clare Valley more than 150 years ago. We started by asking Raphael about Kilkanoon’s involvement with the April 8 Gran Fondo event. “Kilikanoon Wines is firmly supportive of the Clare Classic because we are passionate about the Clare Valley region and our local economy,” he explained. Kilikanoon was founded in 1997 when winemaker and proprietor Kevin Mitchell purchased the property of the same name in the hamlet of Penwortham in South Australia’s picturesque Clare Valley. Hailing from a long line of wine grape growers, Kevin turned his vision of creating a powerful and elegant brand into a reality. 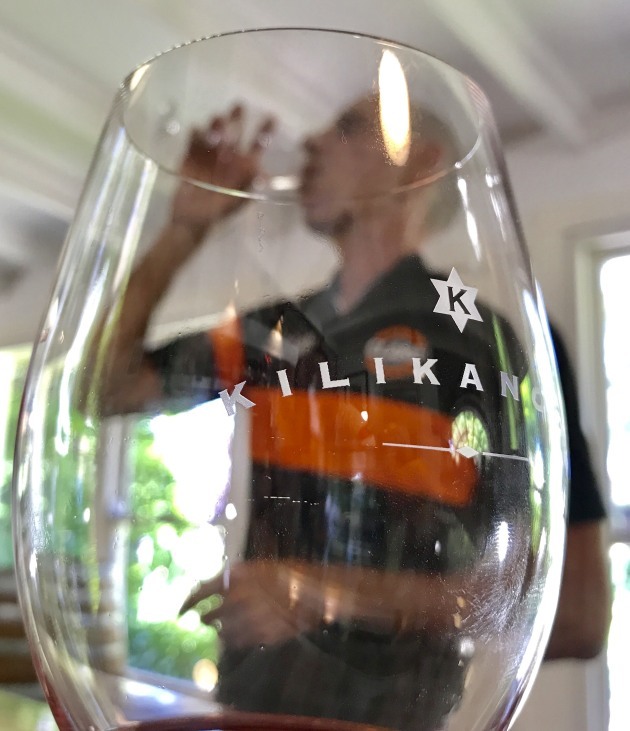 The Kilikanoon philosophy and style has seen it awarded Australian Winery of the year four times over seven years from three different sources, including Germany’s famed Mundus Vini in both 2010 and 2017, and of-course James Halliday who rated Kilikanoon Australia’s best Winery in 2013. The original Kilikanoon site has now been converted into a picturesque Cellar Door and is open to the public daily where you can experience the most prestigious fine wine tasting in the Clare Valley. This includes tastings from the asset collection and the exquisite Attunga Shiraz from vineyards planted in 1865. Each $250 bottle of the limited Attunga 1865 is individually numbered and comes in a personalized gift box. It’s a tasting experience no wine-lover should miss. As Raphael explained, the Clare Valley has a diverse geological profile that produces a variety of micro-climates suitable for growing a wide variety of grapes. Clare Classic ambassadors Davin Harding and Dazza Haynes enjoy a tasting session at the Kilikanoon Cellar Door during a recent visit. “Kilikanoon has carefully selected vineyards within the valley to leverage this diversity, which means that we are able to produce quality wines every year despite seasonal variation,” he said. Penna Lane, Penwortham via Clare. 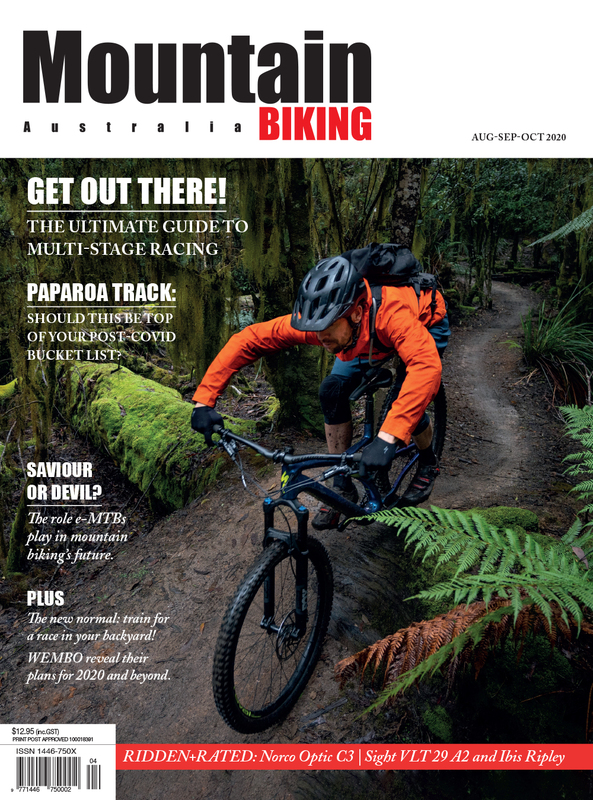 Spend even a short amount of time at Kilikanoon and it’s likely you’ll see cyclists either there or close by. Proud of their ‘Wine by Cycle’ initiative, Kilikanoon encourage riders and are proud of their unique self-guided tour of the wineries and attractions surrounding the Kilikanoon Cellar Door. 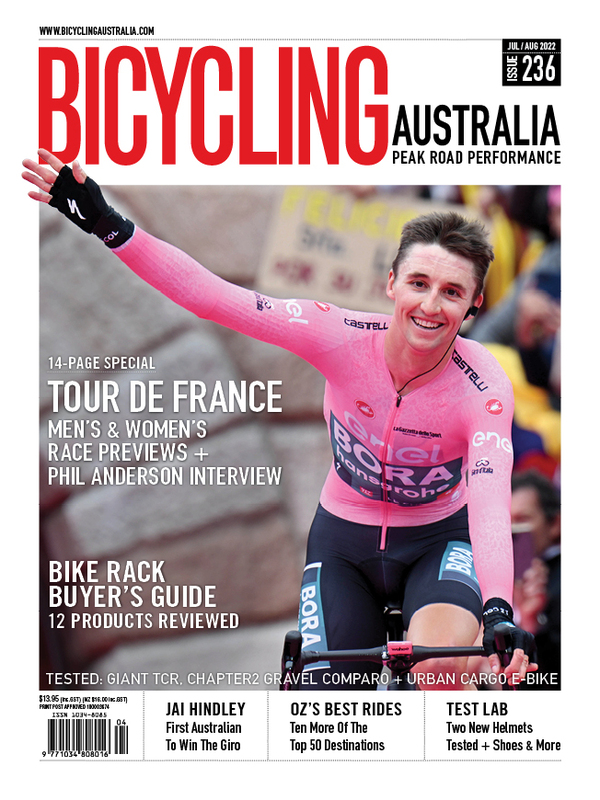 “We have six different sized bikes for hire and some fantastic cycling in the area,” said Raphael. The Wine by Cycle self-guided tour finishes back at the Cellar Door in the Revelation Room with an Asset Collection tasting that showcases some of the most notable wines. Kilikanoon’s Garrett Ryan explains local Clare Valley soil variations and the famed Attunga vines planted in 1865. Thanking Raphael for Kilikanoon emphatic support for the Clare Classic, he said the initial announcement of the event was a confirmation and a celebration that Clare Valley really has a lot to offer other than fantastic wines. 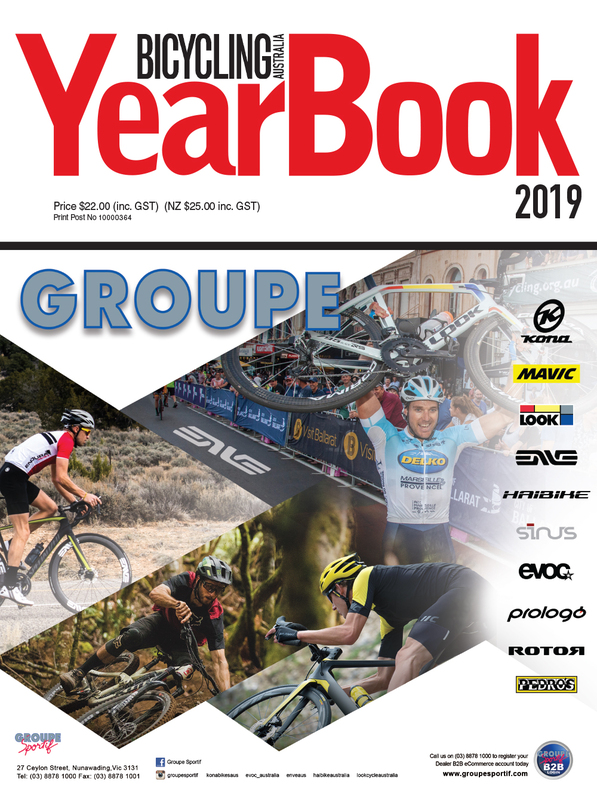 “There so much to enjoy in the region and cycling here is very popular all-year-round,” he said. 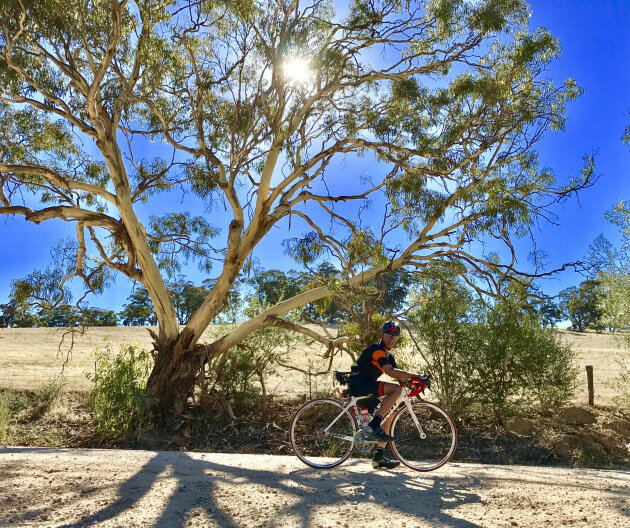 Dazza Haynes enjoys some of the sensational gravel cycling near Kilikanoon estate in the Clare Valley. MAMIL The Movie: Middle Aged Men In Lycra On The Big Screen!